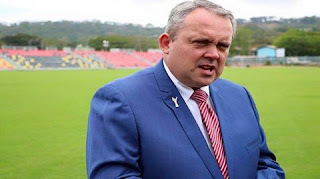 There is no political interference in the process of supporting candidates for a new PNGRFU president and the government has been supporting the code of rugby union over the years. That is the message from the Sport, National Events and APEC Minister, Justin Tkatchenko when clearing the air on accusations made by the PNGFRU Board of politicising their general meeting and claims of the government lack of assistance to the code. The Minister said for the last four years, the government has given financial support to the code in many ways to help assist the administration, doing it without fear or fervour and also facilitating for its competition overseas and in the country. Meanwhile, regarding the PNGRFU president seat, the Minister said he only encouraged Mr Peter Tsiamalili Jr to take up the post because of the experience he has and could make a great president and enable the code to be more effective.